The island of Gomera is located in the western sector of the archipelago between the islands of La Palma and El Hierro. The biosphere reserve includes the entire island as well as an ample band of the surrounding marine area. The island's surface is in large part covered by “monteverde” or laurel forest, whose originality and naturalistic, scientific and cultural interest earned it the title of National Park of Garajonay in March of 1981 and inclusion, by UNESCO, on the List of World Heritage Sites in late 1986. 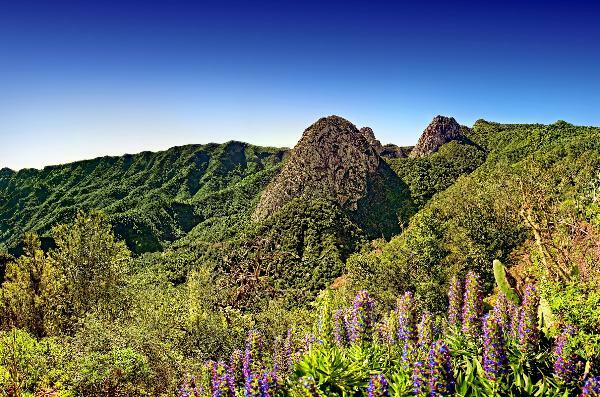 It is home to great biological richness and rugged landscapes, with several endemisms, including the La Gomera giant lizard. The marine environment in La Gomera also deserves special attention thanks to its exclusive nature. 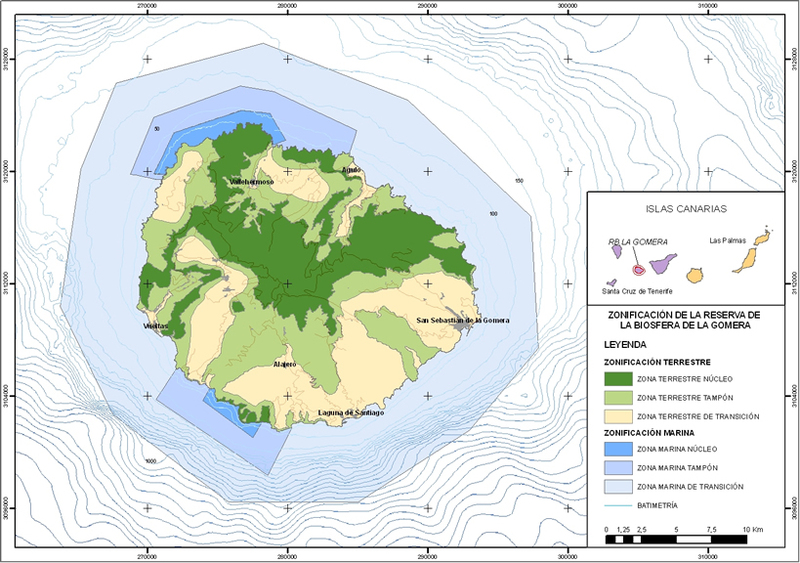 The wide spectrum of environmental conditions that typify La Gomera provide it with substantial marine biodiversity, both regarding ecosystems and species, and it is a privileged location for the study and conservation of cetaceans. Also worth mentioning is the cultural heritage of the island, with crops found on steep mountainsides using stone walls, the substantial presence of palm trees and the peculiar “silbo gomero” whistling, Intangible Cultural Heritage of UNESCO.